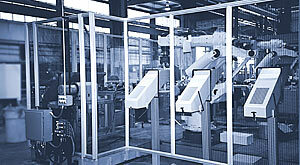 Application: Robotic Perimeter Machine Guarding was designed to secure to the machine tool base, allowing for ease of assembly. 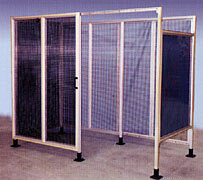 The modular design allowed for less down time. 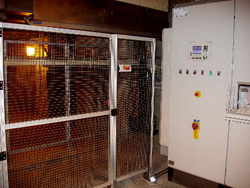 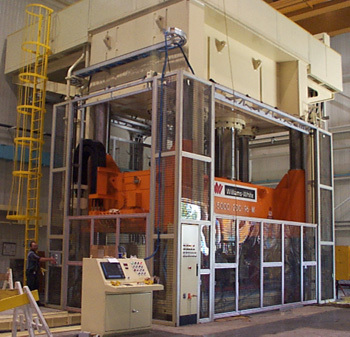 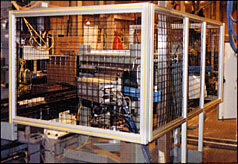 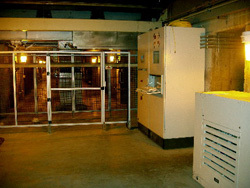 Custom Aluminum Guarding was design to modularly fasten to conveyor and automated assembly line.